Every human being is the Light of the Divine contained in a human form. The human body was given to us so we can have a chance to experience that Divine Light in ourselves and in everything around us. Experiencing the Divine while in our human body generates bliss, fearlessness, and love, and a way to honestly face life with courage and grace. A society of people who are conscious of the Divine within themselves and in all around them is the foundation of a world filled with peace, prosperity, and integrity. This is the vision and promise of the Sikh way of life. Not beholden to rituals and to the past, but simply meditating and serving as a way to be awake to the Divine Reality, to the Deathless Spirit of Love that is already here, inside of us, right now. Sikh simply means "seeker of truth." Sikh Dharma is a spiritual path for those who are looking to answer the eternal question: "Who am I, and what am I here for?" Like all spiritual traditions, Sikhs have a lineage and legacy, guidelines and philosophies, masters, saints and its history. 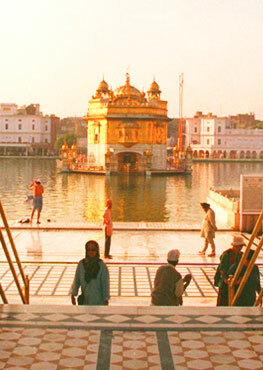 But primarily, the Sikh way of life offers a down-to-earth spiritual path for every-day people. It doesn't matter what your spiritual orientation is. Or what culture or background you belong to. Any person can use this technology to experience his or her own Divinity and Infinity. By name, the Sikh path is only a little over five hundred years old. Its founder, Guru Nanak, was born in 1469. Guru Nanak spread a simple message of "Ek Onkar" :We are all one with the One Creator of all Creation. This was at a time when India was being torn apart by castes, sectarianism, religious factions, and fanaticism. He aligned with no religion, and respected all religions. He expressed the reality that there is one God and many paths, and that our true identity is infinite: "Sat Nam". Guru Nanak's students were called Sikhs (students of truth.) He taught them to bow only before God, never to any man or woman, and to link themselves to the Shabd Guru, the Light of Truth, which is embodied in the "Siri Guru Granth Sahib." 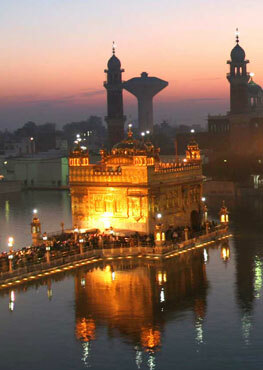 Rising before the sun each morning in what is called the Amrit Vela or Ambrosial Hours. In the two and half hours before the sun rises, the mind has the best chance to quietly surrender and hear the voice of the Spirit. Taking a cold shower, balancing the body, mind and breath and then meditating on the One within everyone. Meditating on and chanting the Shabad Guru, the Sacred Sound Current as Divine Teacher which brings us to the experience of our own Divinity. Meditating and chanting at sunset and before going to sleep. Be aware of the Divine in our hearts and the whole creation with every breath we take. Earn our living honestly and share whatever we have with others. Be constantly awake for opportunities to serve and elevate others.